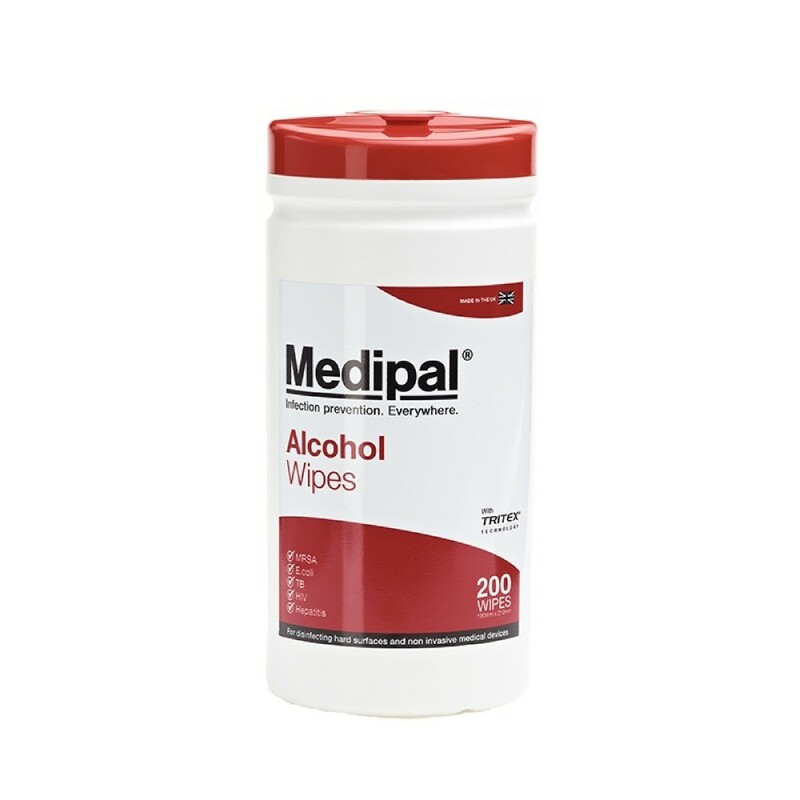 Medipal Alcohol Wipes are intended for disinfecting hard surfaces of non invasive medical devices and equipment in healthcare environments. 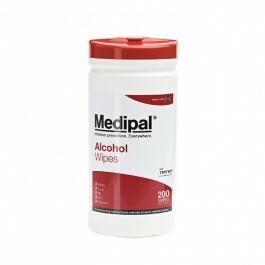 Medipal Alcohol Wipes contain 70% isopropyl alcohol (IPA) and are effective against bacteria, viruses, yeasts and funghi. Supplied in a handy cannister of 200 wipes. Controlled dosage ensures effective disinfection for every use. Chemical solution proven effective against a wide range of organisms. Immediatley ready for use at point of care, no need for sprays and paper towels. Easy-to-clean canister which is easily carried or stored on a trolley. Wall brackets available for extra convenience. Saves valuable time and reduces the need for buckets and cloths. Full case pack size - 10 x tubs of 200 wipes.